Bill E Slaughter, JR, Hahira, GA. 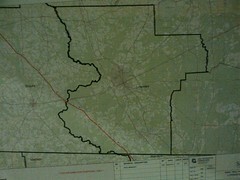 If the route for the proposed Sabal Trail Pipeline comes through any part of Lowndes County as Chairman of the Lowndes County Commission and on the behalf of the Commission and Citizens of Lowndes County I would like to address several concerns we have with the Sabal Trail Pipeline Docket # P14-1-000. All road crossings must obtain a Lowndes County R/W Encroachment Permit for each crossing which will include all information required by the Lowndes County Engineer. All road crossings shall be perpendicular to the R/W.